These are the optimistic words used by the New South Wales Housing Commission to announce the completion of 79 public housing apartments in The Rocks in 1980. The complex of units was named ‘Sirius’ and would be home to 250 people displaced by The Rocks redevelopment. The story of Sirius in this book begins a decade earlier when The Rocks Residents' Group enlisted the support of the Builders Labourers' Federation. Together they placed a Green Ban on development in The Rocks, which saved an historic precinct and a community. The Green Ban held for four years and was lifted only when those involved reached consensus and supported the building of Sirius. In this narrative, Tao Gofers, the architect of Sirius, explains how agreement was reached and how he designed what became a vertical village - perhaps the last, and arguably the most successful, tower built for public housing in this state. 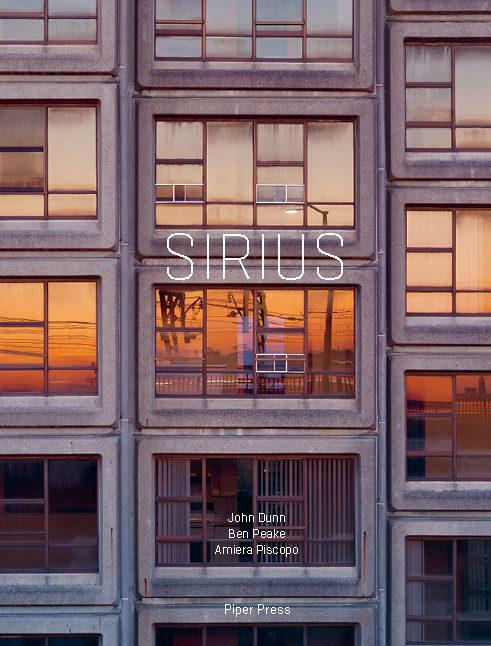 In 2014 the government announced it was selling Sirius as a site for 250 luxury apartments. Sirius and its residents were to be erased from the landscape. At the heart of the campaign to save Sirius and its residents is a desire to celebrate the building and its people. Both are presented in this book alongside the events in the Save Our Sirius campaign. A Green Ban and a Land and Environment Court judgment that the government failed in its consideration of a Heritage Council recommendation for listing Sirius on the State Heritage Register might not be enough to save Sirius. On the other hand, Housing Lotto, a team of twenty Relocation Officers and a determined government have not yet forced all residents out of Sirius. What happens next is unknown. This book tells the story up to the court judgment on 25 July 2017 and asks readers to make up their own minds about Sirius and the people for whom it has been home.